Home Brands Weg745H0FS: A Review of Products on its Specification! If you are in the market for a new gas range, that is a great choice, and you're in luck because the selection available is broad. Gas ranges typically offer more features and options, and many are certainly more aesthetically pleasing in their designs than their electric counterparts. In this article, we will take a close, detailed look at the Whirlpool WEG745H0FS slide-in gas range. We will examine its overall design, specifications, performance features, and price, and then compare this oven to some competitive products to see how it measures up. What Is the Whirlpool WEG745H0FS Oven? Outside of price, one of the most important considerations when making an oven purchase is whether you will use the oven a lot. If you plan to use your oven to bake, broil, and roast frequently, then oven features should be high on your list of priorities. 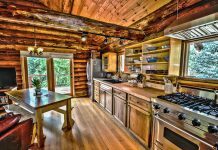 If you only occasionally use the oven, then the cooktop features and performance should be key considerations. Ultimately, however, with so many great range options on the market, you won't have to sacrifice cooktop features and performance for oven features and performance, or vice versa. 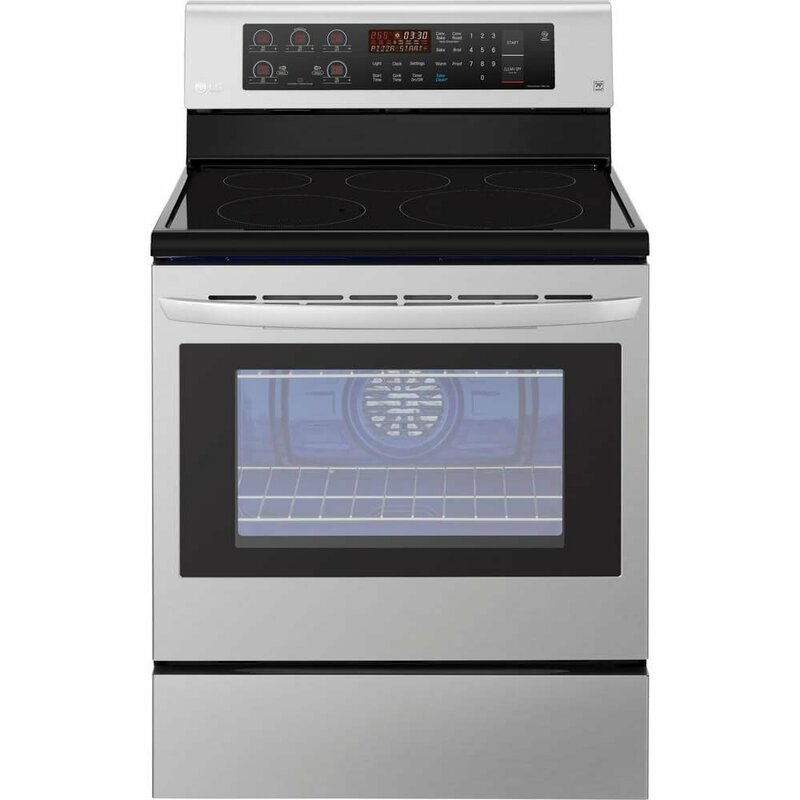 The Whirlpool WEG745H0FS is a slide-in gas range manufactured by Whirlpool. The cooktop features five burners with a large center burner that is rated at 8,000 BTUs. The two front burners are rated at 15,000 and 17,000 BTUs, and the rear burners are rated at 9,200 and 7,000 BTUs. The burners are cast iron covered in porcelain coated steel for a durable and stylish look. The grates are very heavy and solid, and they make moving cookware around on the cooktop easy. This oven features a capacity of 5.8 cubic feet and seven rack positions for easy adjustments and multiple baking levels. Located at the rear of the oven cavity is a large convection fan that is used with the convection bake, broil, and roast settings. Convection heating offers several benefits over conventional baking, including more even heating and faster cook times overall. Controls are mounted on the front of this Whirlpool range, just as they are with most slide-in ranges. The four main burners are controlled by four temperature knobs that are clearly marked and easy to adjust. The center control panel has a stylish recessed design with an LED display to control the oven, plus a small temperature knob for the center burner on the cooktop. The oven is controlled by a push-button panel configuration. Unfortunately, we found that for all that the Whirlpool WEG745H0FS brings to the table in terms of style and design, it is somewhat lacking in performance. The cooktop burners on the WEG745H0FS are slightly less powerful than those on many of its competitors, and as a result, boil times and cook times are slower than many other gas ranges in this price range. Also, bake and broil times can run somewhat longer than many other ranges on the market. Overall, this is a very stylish range by Whirlpool that will complement almost any kitchen. However, the performance of the WEG745H0FS model range does not quite measure up to its looks or merit its high-end price. The Whirlpool WEG745H0FS is a 30-inch, slide-in gas range. The cooktop features five burners with the following ratings: right front 15,000 BTUs; right rear 9,200 BTUs; left front 17,000 BTUs, and left rear 5,000 BTUs. The grates are cast iron, coated with porcelain covered steel. The cooktop controls and oven controls are located on the front of the range. Four temperature knobs control the cooktop burners while a recessed push-button panel controls the oven. The oven control panel features a small LED display, and the fifth burner on the cooktop is controlled by a small knob located on the recessed panel. This Whirlpool oven has seven rack positions and a total capacity of 5.8 cubic feet. Also, this oven features a convection fan for baking, broiling, and roasting. The overall dimensions of the WEG745H0FS are 36 inches high, 30 inches wide, and 28.3 inches deep. The WEG745H0FS is wrapped in stainless steel and we liked the large viewing window. The Whirlpool WEG745H0FS is priced right around $1,600, making it rather expensive, even for a stylish range with many capabilities. This price tag alone will eliminate some buyers. At approximately $1,400 to $1,500, the WEG745H0FS is quite expensive and a serious investment for a slide-in range. This range is very easy to use with its clearly marked temperature knobs, easy-to-use push-button interface, and solid cast iron cooking grates. The controls are front-mounted, making adjusting the temperature easy and keeping you from having to reach over a hot cooking surface. The overall oven capacity of the WEG745H0FS is 5.8 cubic feet, making it large for a 30-inch slide-in range. The style and design of this range are outstanding. It is sleek and compact and will fit any standard 30-inch space, providing a built-in, custom look. However, the performance of this appliance does not quite match the level of style. Whirlpool offers a limited one-year warranty on this product. The GE JGB860SEJSS is a double-oven, freestanding gas range. This range features a stainless steel exterior and two stainless steel oven door handles. The cooktop features five burners ranging from 5,000 BTUs for the rear burners to 18,000 BTUs for the front burners. A fifth burner in the middle comes with a removable griddle for cooking or warming items on a flat surface without using one of the four main burners. 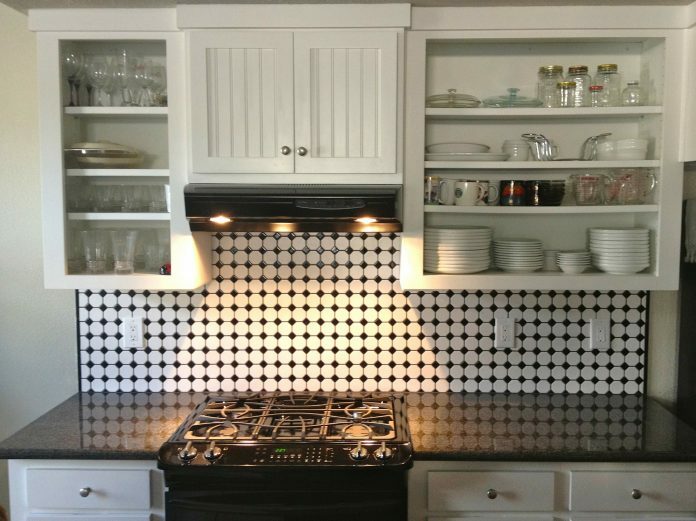 The cooktop features two cast iron grates, and a third grate can be purchased and used in place of the griddle by those who use extra-long cookware. This oven has a total capacity of 6.8 cubic feet, with the upper oven providing a capacity of 2.5 cubic feet and the lower oven having a capacity of 4.3 cubic feet. The lower oven has a convection fan for baking, broiling, and roasting. Cooktop controls on the GE JGB860SEJSS are front-mounted, and the oven controls are rear-mounted. This oven is controlled by push-button controls, and the interface features an LED display. Overall, this is an excellent range, especially if you use the oven extensively. 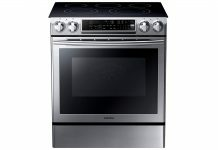 The GE JGB860SEJSS is priced right around $1,540 to $1,550, making it rather expensive for a free-standing gas range. Note that this is a double-oven appliance, however. 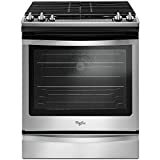 This GE range is very easy to use with its five-burner cooktop, easy-to-use controls, and a double-oven design that allows you to bake two separate items at two different temperatures. If you really like to bake, this range is a great choice. This range has a very large overall oven capacity of 6.8 cubic feet, making it one of the largest oven capacities you will find provided by a 30-inch free-standing range. The cooktop and oven designs for this GE range are outstanding. However, this is a freestanding unit with rear-mounted oven controls that many find less visually appealing than a more "custom-looking" slide-in unit. GE offers a limited one-year warranty on this product. This LG slide-in gas range is a very well-designed single-oven model. The cooktop features 5 burners with a range of power ratings up to 17,000 BTUs. It also has three cast iron grates that fit edge to edge on the cooktop. The controls are front-mounted, making this range a true slide-in model. The oven has a large, 6.3-cubic-foot capacity, and it offers convection cooking functionality. This oven has bake, broil, and roast settings. It also features a rapid self-cleaning mode that allows the oven to clean itself in 10 minutes with no need to scrub. The exterior of this range is stainless steel, and this stylish appliance will fit any standard 30-inch cabinet space. 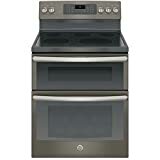 This LG gas range is an outstanding range for someone looking for a sleek design that will compliment any kitchen decor. 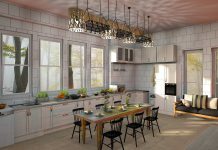 This range is priced right around $1,000 to $1,050, making it rather expensive for a relatively basic gas range with a single oven. It is in line with the prices of various other stainless steel units, however. This range is very easy to use with its five cooktop burners, easy-to-use front-mounted controls, and self-cleaning mode. This LG range has a spacious overall oven capacity of 6.3 cubic feet, which is excellent for a standard 30-inch, slide-in range. This range has a very sleek and stylish design which is easy on the eyes. However, the performance does not quite live up to the price tag, especially when evaluating the cooktop. LG offers a 1-year limited warranty on this product. 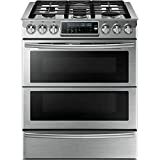 The Samsung NY58J9850WS is a 30-inch, slide-in gas range. The cooktop features five burners with a large center burner that is great for cooking with oversized cookware. The two front burners are high-powered burners that feature rapid boil times and precise temperature control. The oven features a removable partition that divides the compartment into two, allowing you to cook different items at different temperatures. This Samsung range features a convection fan for even heating and more rapid cook times. The controls are front-mounted, with five temperature knobs controlling the cooktop and a push-button panel with LED display controlling the oven temperature and other settings. The construction of the Samsung NY58J9850WS is stainless steel, and it is designed to fit in any standard 30-inch space. The Samsung NY58J9850WS is priced right around $3,805 to $3,810, putting it at the very high end of the price range for widely available slide-in gas ranges. This Samsung range is very easy to use with its front-mounted controls and removable partition for dual-oven cooking. The capacity of this oven is 5.8 cubic feet, which is about average for a slide-in range of this size. Samsung has designed this range to be a high-end slide-in range. The stylish design with its custom look will not disappoint, and its performance matches the styling effort. Samsung offers a one-year warranty for this range. When selecting a range, important considerations include your needs in regard to oven functionality and the space you have available for the appliance. If you need a true dual-oven range, or you want extra-large capacity, some range choices will be eliminated. The next step should be deciding whether you want: (a) a free-standing range, which typically features rear-mounted controls and a more basic design; or (b) a slide-in model with front-mounted controls that will give your kitchen a more custom look. Obviously, price is always a factor in a major buying decision, but no matter what your needs and exact budget are, there are plenty of options in this competitive marketplace. The Whirlpool WEG745H0FS is a slide-in gas range that offers outstanding oven capacity, a stylish look, and solid construction. However, the oven and cooktop performance are underwhelming when compared to similarly priced models. Overall, if style is most important to you, this Whirlpool range may be the right fit. We awarded it a 4-star rating overall. WEG745H0FS is a slide-in gas range that offers outstanding oven capacity, a stylish look, and solid construction. However, the oven and cooktop performance are underwhelming when compared to similarly priced models.